Clive Gifford - Author and Journalist. Clive Gifford is a highly experienced journalist and author with over 180 books published and more than 800 features and stories written for adults and children. "Welcome to the pages dealing with my work as a writer. What drives me more than anything else is the desire to communicate, entertain and inform through the written word. I hope you find these webpages of interest." 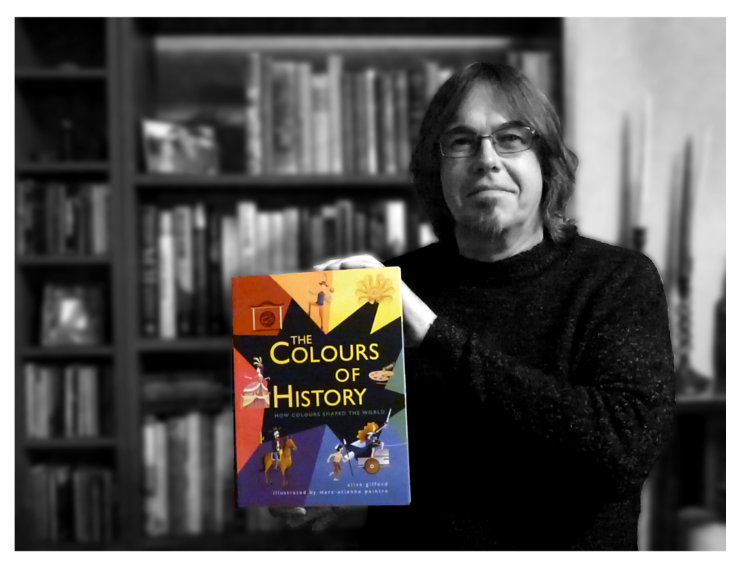 Clive is delighted to announce that The Colours of History has just won the Blue Peter Book Awards' Best Book With Facts. Clive was delighted to appear alongside Lindsey and the judges live on Blue Peter to receive the award. "Blue Peter was must-watch telly when I was a kid as it is today so I am unbelievably delighted and honoured to win this award. I must pay tribute to the brilliant illustrator, Marc-Etienne Pientre who brought the book to life as well as my esteemed editor Laura Knowles and publisher, Maxime Boucknooghe without whom the book would have simply not been possible." A press pack with photos, quotes, interviews and quotes can be downloaded here. Brain Twisters profiled in depth in a gallery in The Guardian newspaper. Clive makes his debut at the Hay Festival, speaking to an audience of 600. 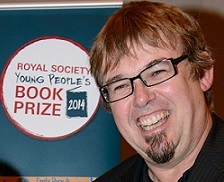 Eye Benders WINS the Royal Society Young People's Book Prize. Space In 30 Seconds (Ivy Press) shortlisted for Best Book Awards 2014 Best Fact Book. See News. Cool Technology (Scholastic) wins the School Library Association's Information Book Award 2013. See News. Out of This World, Clive's first title for Buster Books, is nominated for the prestigious Royal Society Young People's Book Prize. Think Again! (Macmillan) nominated for the School Library Association's Information Book Award 2014. This book attacks facts you think you know... but are wrong! Learn more about the book in the Inprint Section. Who's Who of World War I (Wayland) nominated for the School Library Association's Information Award 2014. Discover The Extreme World on the shortlist for the 2012 Blue Peter Book Award. Sir Ranulph Fiennes endorses Clive's Ten Explorers book as "An inspiration to all adventurers!" Teenage Kicks reviewed as “a barmy, brilliant and hilarious odyssey of a book”. See Teenage Kicks for more details. Clive's Kingfisher Geography Encyclopedia translated into six volume Braille set for the US National Library Service. World Issues: Refugees nominated for the British Book Awards. "I challenge anyone to find a better author than Clive. His text always arrives in perfect condition - wonderfully entertaining, well researched and on-brief. He is a real pleasure to work with; professional, punctual, diligent, and a really nice guy. I can't recommend him highly enough!." "Gifford's enticing visions will engage the imaginations of young dreamers." "I’ve worked with Clive for well over a decade, and he always delivers – in every respect. Before planning out a new title, he researches the competition, looks for a unique angle, and then goes the extra mile to unearth those little-known nuggets of information that really set a non-fiction book apart from the rest." "Clive is always a pleasure to work with - full of fun and crucially, interesting and original ideas that he brings to every meeting, discussion and book. He writes on every topic with great verve, skill and enthusiasm."